Mountain Lodges designed as modern retreats from the urban living. They feature clean and efficient designs that embrace extreme sites and dramatic vistas. 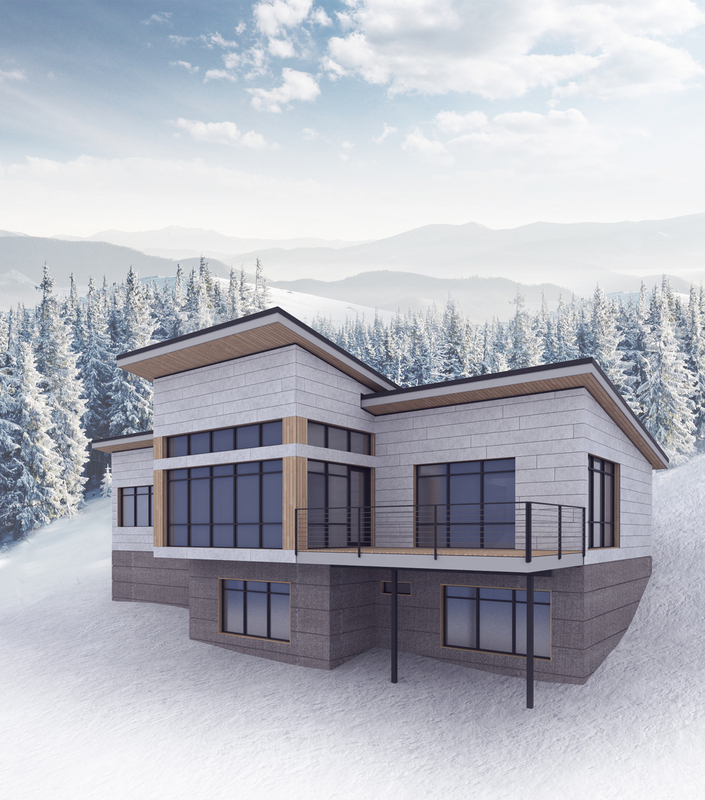 A home for the mountains that eschews the classic timber framing and brings clean lines and modern materials into ski country. 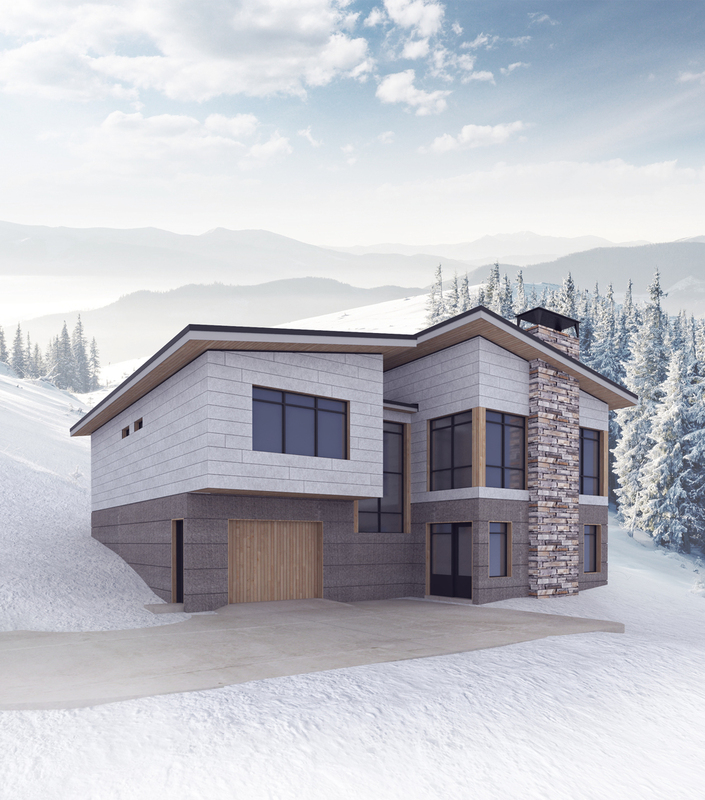 Able to be calibrated on any style of lot and situated for any dominate view, We have designed an escape from the city that doesn't leave behind modern comforts. Efficient flow and minimal ornament bring the focus to a large double height family space with lots of natural light and space.